The Food and Drug Administration has registered its first sleep tracking device, and it’s said to improve sleep in just one week. Earlier this month, health technology start-up Beddr launched the SleepTuner — a wearable device that measures user sleep patterns. Though trackers are not new to the industry, the SleepTuner employs clinical-grade technology that promises to enhance the quality of your slumber in a single week. 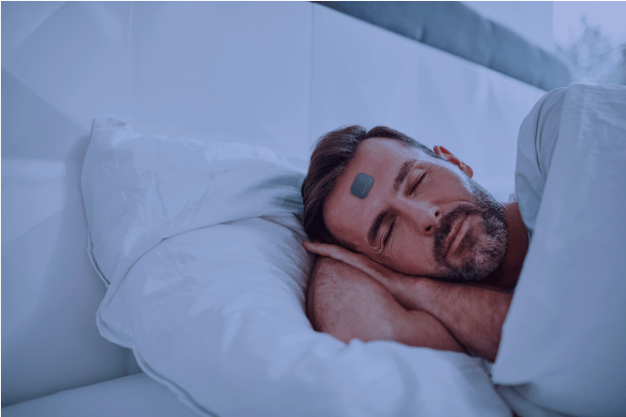 About the size of a postage stamp, the sensor sticks to your forehead, syncs to your smartphone, and offers personalized recommendations on how to refine your sleep hygiene. The vast majority of people with sleep problems have yet to be diagnosed. SleepTuner represents a promising opportunity to reach a larger portion of the population, engage them in sleep health, and identify issues that may need attention from a doctor. The ability to get personalized insights, over multiple nights in your own bed, is a significant improvement in the patient experience. More: Interested in sleep gadgets, but not sure you want to wear one? Check out the Eight Sleep Tracker! Sleep trackers have undoubtedly grown in popularity over the last few years, and each one promises that better Zzz’s are in store. The truth, however, is that the cold, hard science behind these gadgets is fairly limited. In fact, some research has found that tracking devices could actually make sleep worse. At the end of the day, it’s wifi-enabled technology that you’re sleeping with, and many health professionals have advised against it — some proposing that the act of tracking is stress-inducing. In the case of the SleepTuner, the FDA approval signals a weightier endorsement, though it’s too early to know if the tracker will achieve its desired objectives. In a recent press release, Beddr reminded consumers that the Center for Disease Control declared sleep deprivation a public health epidemic, and that “the challenge” is to get out in front of it.